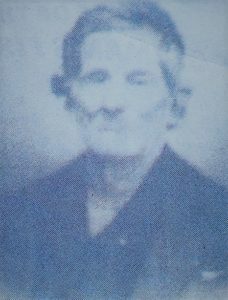 Family records show Coss was born in Pennsylvania in 1796 before moving to the relatively new settlement of Martins Ferry in 1804. Coss served in the War of 1812 with Commodore Matthew Perry, while he was also a substitute for Peter Alexander. The U.S. suffered many costly defeats troops over the course of the war, including the capture and burning of Washington, D.C. in August 1814. However, ratification of the Treaty of Ghent on Feb. 17, 1815 ended the war, allowing the new nation to keep its independence. Coss was discharged from the U.S. military in September 1814. His reward for his service was $100 and property in Martins Ferry. Coss married Nancy Smith of Maryland. They had seven children: Adam, William, Harrison, George, Angeline, Ann and Smith. As part of the Underground Railroad, he helped slaves escape to Glenns Run Road in Martins Ferry and then travel onto Mount Pleasant. His son, George Coss, married Hannah Brown, granddaughter of Betty Zane. Standing 6-foot-7-inches tall, Groza led the Purple Riders to two straight undefeated regular seasons in 1943 and 1944. Both seasons saw Martins Ferry qualify for the Ohio state tournament, with the team finishing a sparkling 24-1 in 1943 and a spectacular 26-1 the following season. According to Ohio Valley Athletic Conference records, Groza scored what was then a valley record of 628 in the 1944 season, including 41 versus the former Tiltonsville High School. Groza was an all-conference and all-Ohio first-team selection. 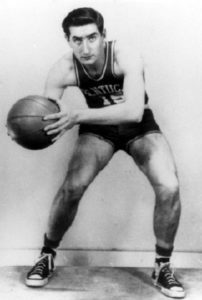 From Martins Ferry, Groza went on to the University of Kentucky to play for legendary coach Adolph Rupp. Groza led the Wildcats to back-to-back national championships in 1948 and 1949, while being named most valuable player. He was a three-time all-Southeastern Conference player, as well as a two-time consensus All-American. He scored 1,744 points during his Kentucky career, and his jersey was retired by the school. Groza and four college teammates ? Ralph Beard, Wallace Jones, Cliff Barker and Kenny Rollins ? helped the U.S. win the gold medal at the 1948 Summer Olympics. In the National Basketball Association, Groza averaged 22.5 points in 130 games with the Indianapolis Olympians in 1950 and 1951. He later worked for the Kentucky Colonels and the San Diego Conquistadors with the American Basketball Association before that league merged with the NBA in 1976. Groza?s brother, Lou ?The Toe? Groza, is a member of the Professional Football Hall of Fame, as well as the Hall of Honor. Alex Groza married Martins Ferry native Jean Watson in 1953. He died of lung cancer Jan. 21, 1995. Patricia Ann Reddy McIntosh was born to the late Madeline McKean Reddy and Francis A ?Pete? Reddy in Martins Ferry on May 25, 1932. Her parents owned a bar and restaurant on Hanover Street before later opening the Firestone Hardware Store. After graduating fifth in her class at St. John?s High School, Reddy-McIntosh spent part of the summer studying dance in New York City at schools such as Jack Stanley School of Dance and the June Taylor School of Dance. At the age of 18, she opened her dance school in Martins Ferry. With the help of her two cousins, Connie McKean Jacobs and Karen McKean Duncan, it became one of the largest and most respected dance studios in the entire Ohio Valley, attracting hundreds of students from as far as 40 miles away each year. At age 21, she married high school sweetheart Roy J. McIntosh, also of Martins Ferry. Together, they would raise four children: Robert, Debbie, Donald and David, along with 12 grandchildren. Roy supported Pat to help her achieve her dream of dance in any way he could by repairing and remodeling the studio when needed and building mechanical devices to help lift acrobats for learning new skills. Reddy-McIntosh wanted to make a difference in children?s lives and created an environment for each student to feel special, as well as being part of something special. Her school of dance has taught thousands of girls and boys and a large number of adults the art of tap, ballet, jazz, acrobat, lyrical and baton. However, ?Miss Pat,? as her students fondly called her, made sure the experience was much more than just dance. The impact on students, parents and her dance instructors alike is the lifelong friendships and memories of a great time in their lives. Reddy-McIntosh took her large competition baton corps ?The Reddyettes? all across the county, while putting Martins Ferry on the map by winning state, regional and national titles. They competed in Denver, Miami, Milwaukee, Indianapolis, Virginia Beach, Seven Springs, Pa., Columbus and Dayton, Ohio. These competitions were very impactful for the students, as it was the first time for many of them to had been outside of the Ohio Valley area. 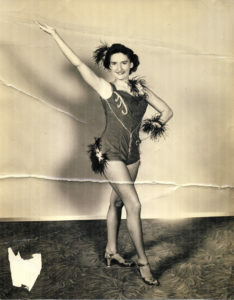 Reddy-McIntosh was a member of Dance Masters of Ohio and Pennsylvania. Marion McMurray Packer was born Feb. 8, 1912, in McMurray, Pa. Her mother, Mollie, was a trained artist who studied water-color painting. Marion?s father, Charles, was a farmer and carpenter, as well as a musician who enjoyed playing the trumpet. By 1929, Marion Packer developed a soprano voice that allowed her to be one of only three students chosen for a voice scholarship at what is now known as Carnegie Mellon University in Pittsburgh. Although an illness cut her time there short, Marion continued her education at Muskingum College in New Concord, Ohio. After graduation, Packer taught music from 1934-38. She and husband, Fred, were married Sept. 10, 1938. 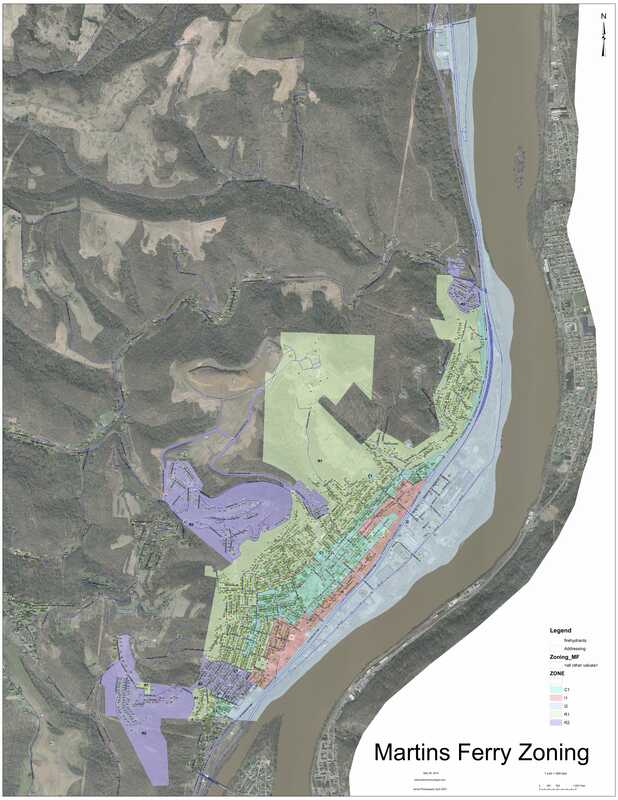 They would eventually raise a family of four children in Martins Ferry: Mary Edith, Richard, Fred and Freda. In addition to directing the choir at the First Presbyterian Church, Packer enjoyed writing and directing the annual Christmas show for several years. Unfortunately, Fred unexpectedly passed away in 1966. 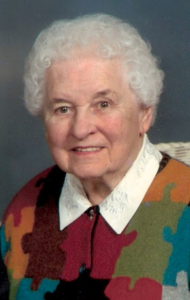 Since Marion helped Fred study for his state insurance exams in the 1940s, she took over the operations at the Fred Packer Insurance Agency that her husband had owned and operated. With the help of her son, Richard Packer, and the agency?s secretary, Thelma Ellis Pasz, Marion used her state certifications in her new job. In the 1980s, she introduced handbells to the youth and adults of the First Presbyterian Church. Her choirs often played for special events at Martins Ferry High School, as well as other local high schools. She also was a private piano and vocal teacher for 35 years. She served as director of Ohio Valley Young Musicians for 30 years. She was the charter member of Martins Ferry Child Study Club, and a member of PEO Sisterhood Chapter J, which promoted education opportunities for women. Marion Packer died Jan. 1, 2008, at the East Ohio Regional Hospital in Martins Ferry. Bill Van Horne served as sports editor for the Martins Ferry-based Times Leader for 25 years before moving to the Wheeling daily newspaper for another 28 years. Many regard Van Horne as one of the most informational and influential writers in Upper Ohio Valley history. Van Horne?s work with the Ohio Valley Athletic Conference over the years was especially instrumental in the success of the sports of wrestling, track and field and cross-country. He received the ?Mr. Mat? award in 1977, while also receiving the Calvin Giffen Memorial Track award. Over the years, Van Horne chronicled the event now known as the Ogden Newspapers Half-Marathon Classic, the West Virginia Tennis Open, the Wheeling Ironmen and the Wheeling Thunderbirds/Nailers. Van Horne was president of the West Virginia Sports Writers Association, as well as a member of the Football Writers Association of America. He was the first West Virginia sports writer to be elected to the national association?s board of directors. He also served as state chairman for the Heisman Trophy selection committee. Van Horne was honored as the Upper Ohio Valley Dapper Dan Club Man of the Year in 1993, and the West Virginia Sports Writer of the Year on three occasions. He is a member of the Wheeling Hall of Fame, the Lou Holtz Upper Ohio Valley Hall of Fame, the Ohio Baseball Hall of Fame, the Minor League Pro Football Hall of Fame, and the Wheeling-Oglebay Tennis Club Hall of Fame. Van Horne died in 1995. He is survived by his wife, Gladys, and three children. To his widow, Gladys Van Horne, a well-known former newsperson herself, Bill also was a respected ?community leader? who cared about much more than what was on the scoreboard after a game. ?Bill was a people person, and he knew a lot about people. He also was concerned about what was happening in the community,? Gladys recalled. This was especially true during a time in history when Americans of color were fighting for their rights as citizens. According to Gladys, Bill was a leader and a positive influence for change during those turbulent times. At Van Horne?s funeral, Grantland Rice was quoted as saying, ?When the one great scorer comes to write against your name, he marks not that you won or lost ? but how you play the game. ?